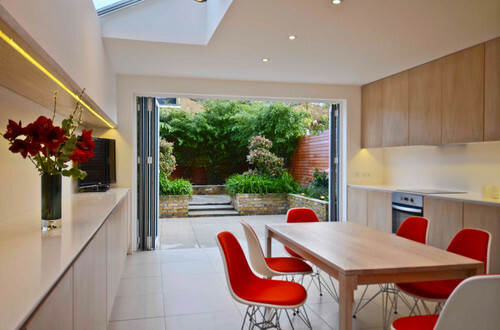 Home > Articles > Bifold Doors – Is it Time to Consider a Different Door Design? Could one of these solutions take the place of bifold doors? Steel-framed doors may have seen their heyday in the 1920s and 1930s, but they have a strongly contemporary appeal. Pick them and your garden doors will be a feature in themselves, not just a way to open out a space. Complement their sharp lines with streamlined kitchen cabinetry and modern furnishings, or use them alongside industrial-style features and furniture. If seeing the garden from indoors is top of your list of priorities, the wide expanse of glazing and slim frame of a quality sliding door might be the answer. 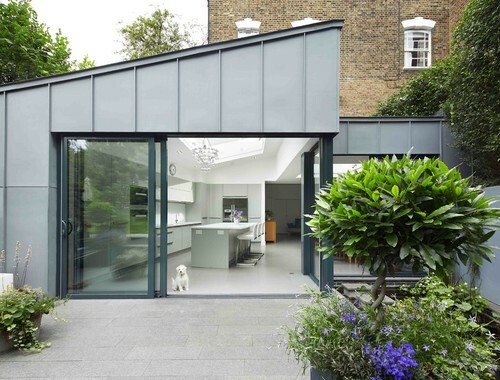 Here, two sets of sliding doors open this zinc-finished extension to the terrace and pond. A pivoting door turns through 90 degrees to open the inside to the exterior, creating views as well as a pleasant flow of air through the openings. They have slim frames, so once again you’re maximally connected to the garden even when they’re closed. Bifold door fans who worry they won’t often open the doors fully might want to reacquaint themselves with the benefits of French windows. 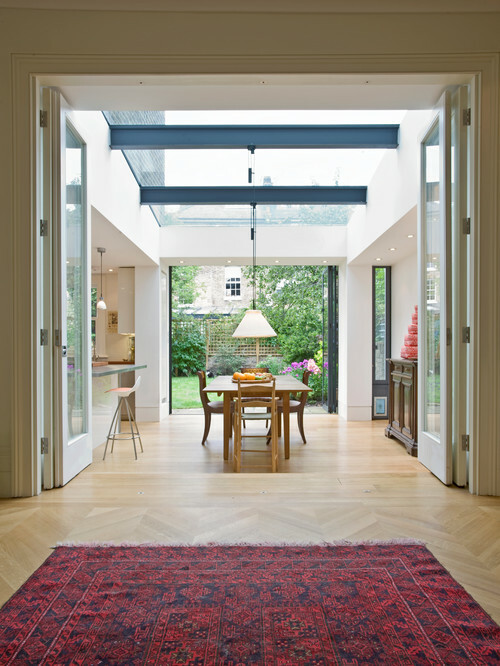 Modern framing materials mean they’re not just the traditional solution any more, and access to the garden, light and air are all delivered, but with the option of having a little more privacy than with a wall of glazing. If bifold doors appeal because appreciating your home’s surroundings and boosting light are the goals, perhaps a glass wall is, in fact, what you’re after? 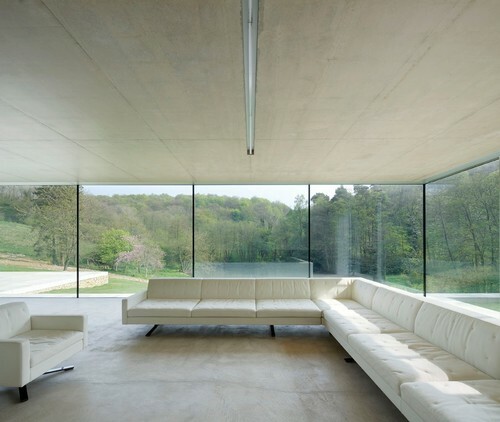 Here, frameless panels of glass are joined together with structural-grade silicone to create a frameless glass wall. With as little a barrier as possible between the inside and out, this room has been simply furnished, with all the visual detail supplied by the amazing landscape. 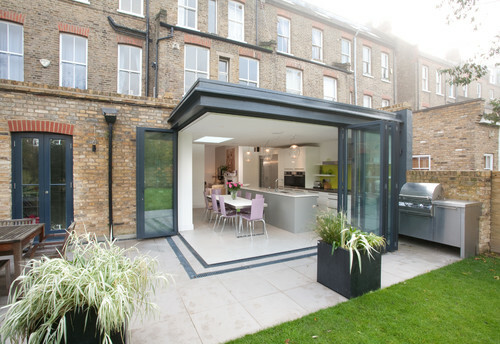 So, is it truly over for bifold doors? The alternatives are full of merit, but should we bid farewell to bifolds? What do you reckon to these 5 reasons for selecting them after all? If you want more space, what better way to create it than with an entire wall that opens up, so house and terrace are a continuous area? 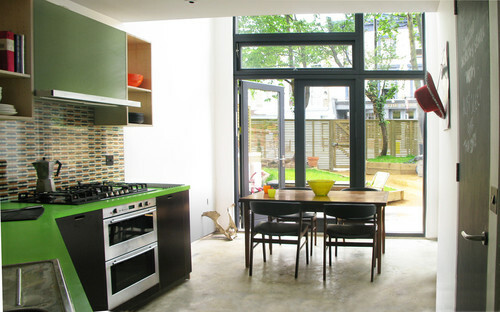 Here, the indoor/outdoor line is blurred further by the use of the same or very similar floor tiles in both spaces. Like the idea? Check with your tile supplier that your selection will stand up to garden temperatures and won’t become slippery in wet weather. Stacked to one side, bifold door panels are tidy once they’re open, so there’s nothing at all between you and the garden. To repeat the success of this design, consider frame size – a bulky frame wouldn’t stack so neatly. Think about the panel sizes that will span the opening, too, as narrower panels equal more to stack. 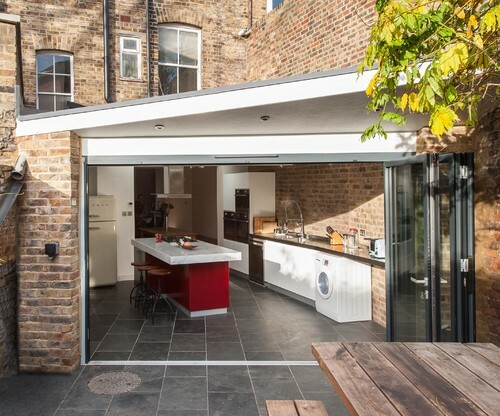 It’s true that bifolds aren’t the only way to pull off this trick, but, as this extension shows, they’re an effective way to fully open two whole sides of a room. The track for the doors is flush to the floor here, too, meaning inside and out are one when the bifolds are open. 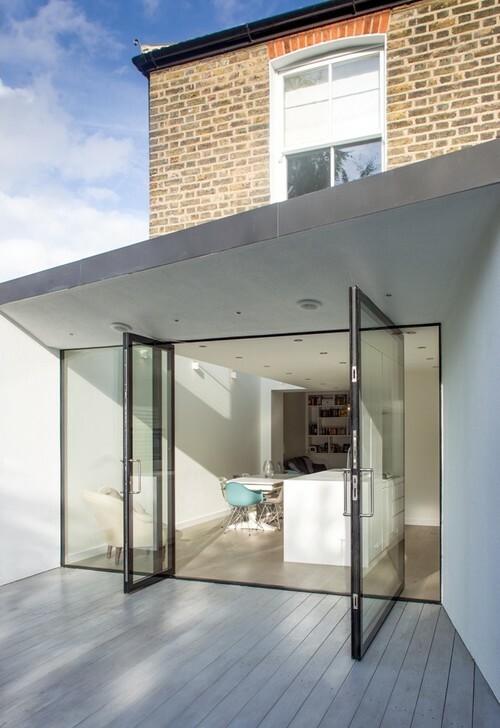 It’s worth bearing in mind that if bifolds are in an exposed position, a completely flat threshold may not be weatherproof, but the upstand you’d then require need only be small to do its job. 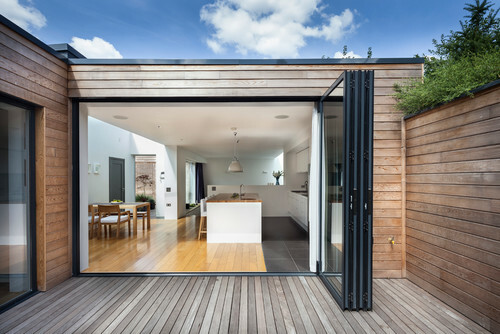 The bifold doors to the garden are echoed by internal bifolds in this home. It’s a clever way to frame the views – from one room to the other and to the garden – and makes the interior feel harmonious. It’s also a reminder that interior bifolds are handy for sub-dividing a room without losing openness, especially when the opening is large, as here. Let’s not forget that bifolds equal a lot of glazing at a pretty good price compared to some of the other options. 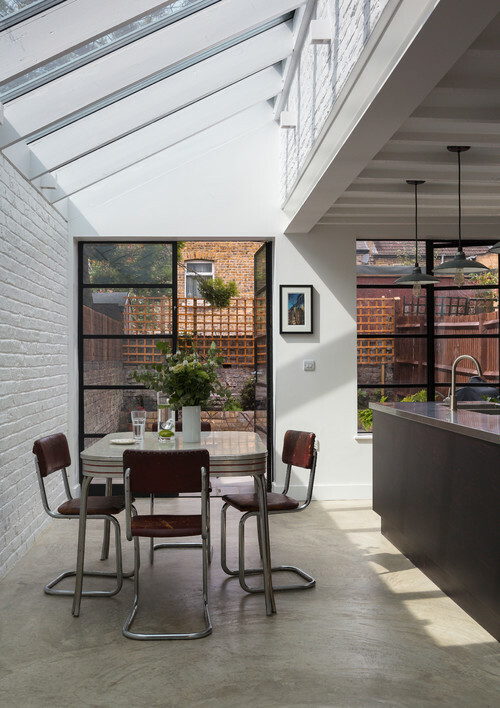 Where homes used to turn their backs to the garden, and access might be via a single door, they’ve brought us the opportunity to make more of indoor and outdoor space, even with extensions of quite modest proportions.